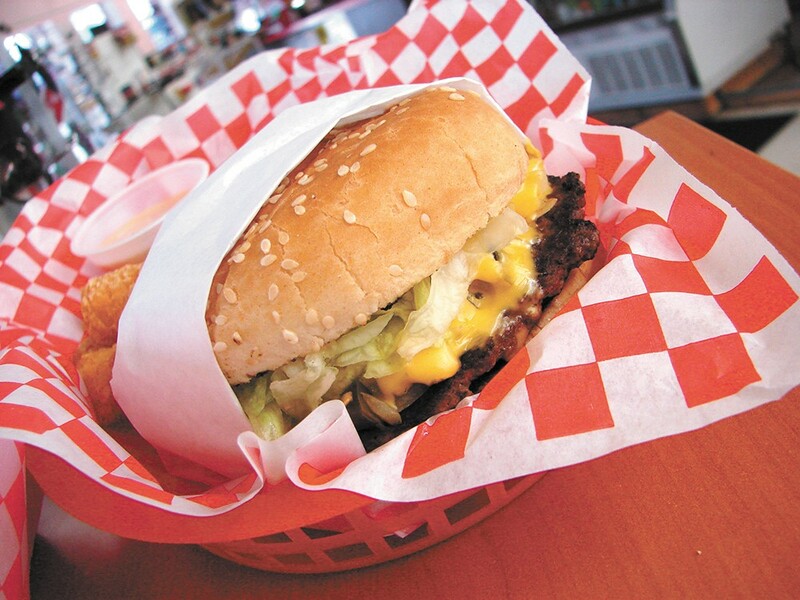 Love's serves up an array of different burgers in Athol, Idaho. The view is mostly distant pine trees and the gas pumps out front. And it's a little tricky to get to, as well. It's tucked into a multifunctional hardware/gas station/convenience store on what used to be Highway 95 in Athol before the "new" bypass was completed. Yet that hasn't stopped people from seeking out Love's Burgers. Their bacon double-cheeseburger is their most popular, with center-cut hardwood bacon hanging generously over the sides ($5.29), but a single burger ($2.84) is plenty filling at a third of a pound. Love's hand-cuts their fries, too ($1.59/$1.95) and will top them with chili ($4.29). Tater Tots (with chili $4.59) also is a nice option. Look on Facebook for daily specials, like breakfast burritos, chicken sandwiches and themed burgers. The Flaming Love Burger has jalapeño, grilled onions, lettuce, tomato, cheese and special sauce ($4.99). All burgers are hand-pressed, never frozen, and cooked to medium-well, says kitchen manager Jeff Muckenthaler, who then steams the burger to melt the cheese so they stay juicy. Love's first caught our attention when a rural rumor — the countrified version of the "urban legend" — surfaced about a 6-to-7-inch-tall burger called the Widow Maker: a whopping tower of meat with four all-beef patties, gooey cheese, bacon and some fixings ($19). Since opening in August, Love's Burgers has sold about a dozen or so of them, says Muckenthaler. "Only two guys finished 'em," he says, although it took one of them about 22 minutes and Muckenthaler thought he might have to intervene with an empty bucket.